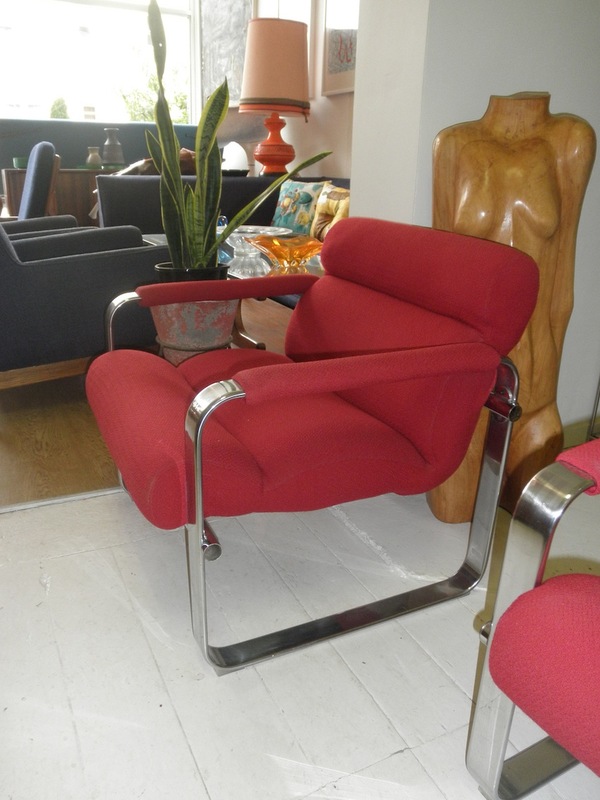 Pair or Eero Aarnio chairs made by Framac and covered in red wool. 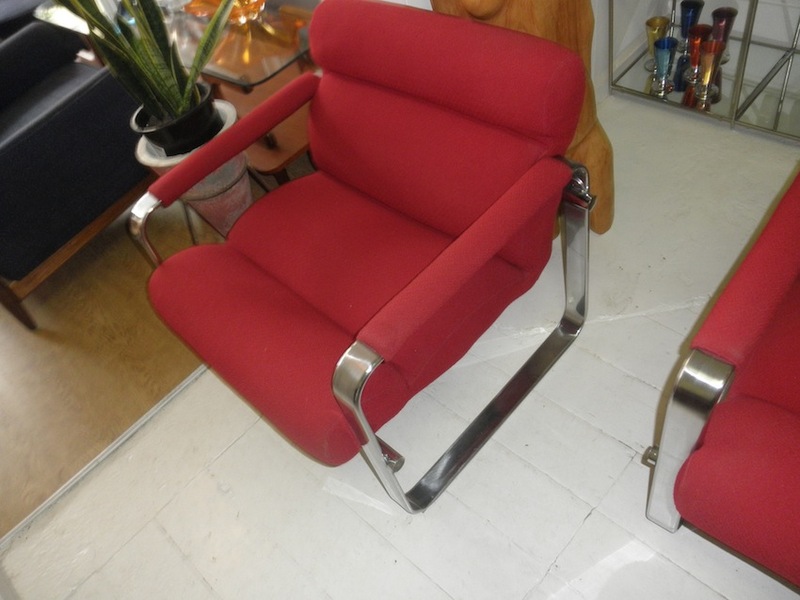 A classic comfortable modernist design from the Space age. These chairs are in great condition, circa 1970.